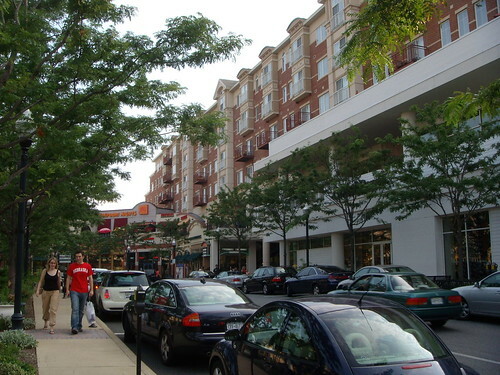 The Planning Board wants to discuss how places like Clarendon in Northern Virginia came to be. - Interested in creating great places? The Planning Board's brought in U-Md. professor emeritus/Post columnist/my hero (or one of several) Roger K. Lewis to host an urban design workshop for local builders, politicos and the public. It's at 7:30pm Monday at the Park and Planning Commission, corner of Georgia Avenue and Spring Street. - Yup, I'm still writing for the Diamondback, U-Md. 's independent student newspaper. At least until the new school year starts. Check out this week's column on the do's and don'ts of graduation parties. - Just Up The Pike's "68 Things I Love About East County List" got a mention on the Columbia Talk blog in Howard County. If you haven't already, check out the list parts ONE and TWO - and submit your own local favorites, to be compiled into our final installments of the list next week. - A study of pedestrian traffic throughout Montgomery County was released earlier this week, examining in further detail some of the area's most congested intersections. No fewer than SEVEN of the top ten intersections with the highest pedestrian counts are on the east side, among them East-West Highway at Colesville Road in Downtown Silver Spring and Randolph Road at Veirs Mill Road in Wheaton. Does anyone else think that pedestrian study NOT including designated downtown urban districts (aka most of 20910) is a cop-out? If Course, EW & Colesville is a hit mess but please compare that to Wayne & Colesville, Wayne & Georgia, Georgia & Colesville, Fenton & Wayne, etc. Let us see the actual figures and evaluate. Absolutely! I totally agree (and I would say the same for Silver Spring and Georgia Avenue, not just Bethesda-White Flint). The Rosslyn-Ballston corridor in Arlington (which includes Clarendon) is one of the "case studies" the Planning Department will be discussing next week.